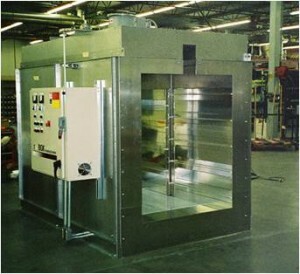 We design/build a variety of industrial ovens to suite our customers needs. 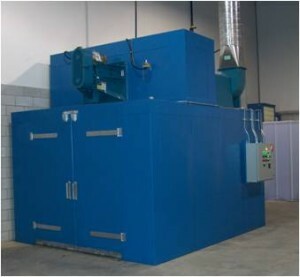 Batch Ovens are needed for specialty shaped parts or small quantities. 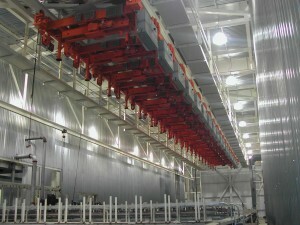 Conveyorized Ovens are necessary for high volume output. 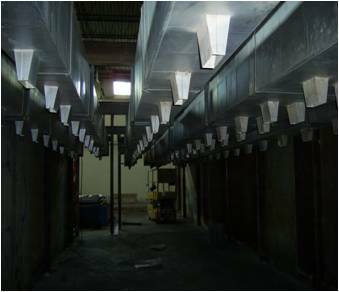 Dry-Off Ovens are to remove moisture from parts between the spray washing and/or the painting and coating process. 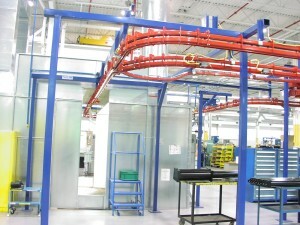 Bake Ovens are designed for curing both liquid and powder coatings.